This important work, now available in paperback, from Professor Geoffrey Broadbent, provides a clear analysis of the nature of many of today's design problems, identifying their causes in history and suggesting a basis for co-ordinated solutions. The author discusses `picturesque' and `formal' tendencies in modern architecture, relating them to parallels between philosophic thought and design theory through the ages. 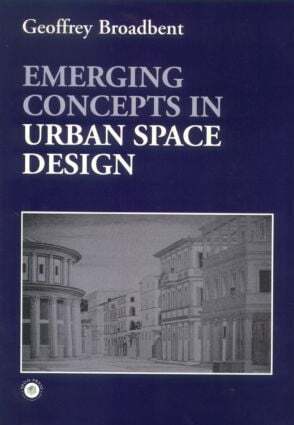 Using a wealth of international examples from around the world including America, UK, Italy, Germany and France and with over 250 photographs and illustrations, Emerging Concepts in Space Design offers a fascinating insight into the history and likely future directions of urban design.